Jerry Holisky is Co-Managing Member of Aronberg Goldgehn and a seasoned business lawyer who concentrates his practice on the legal concerns of closely held companies and their owners. He functions as outside general counsel for many businesses, serving as their principal legal adviser and initial point of contact at Aronberg Goldgehn. He and his experienced team of business lawyers are well-positioned to provide any size company with the full range of legal services required during the life cycle of a business enterprise. Jerry has extensive experience in business formations, corporate governance, mergers and acquisitions, securities, corporate finance, and a wide range of commercial agreements. He also advises clients on structuring complex business relationships, including joint ventures. In addition, Jerry’s practice includes a concentration in ownership and management disputes – sometimes called “corporate divorce.” In a wide range of contested transactions over the past 25 years, he has represented majority owners and management as well as employees and individuals holding a minority interest in the enterprise. Having analyzed these disputes from both sides, Jerry strongly believes that the best result is nearly always a transactional solution that preserves and maximizes the value of the business enterprise. As a result, Jerry frequently structures, negotiates and closes transactions designed to resolve complex ownership disputes. The firm’s motto We Take It Personally® is of special significance in this area of his practice because it is only by first taking the time to know his client’s business, and then aggressively fighting for their interests 24/7, that he is able to forge positive results in these matters. 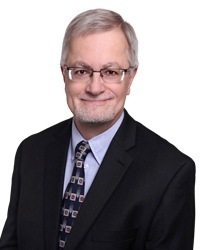 Jerry is experienced in all aspects of practice under the Illinois Business Corporation Act, the Delaware General Corporation Law, the limited liability company and partnership acts of both states, and the Uniform Commercial Code. He is a member of the Institute of Illinois Business Law, originally formed by the Illinois Secretary of State to review the business statutes administered by that office. Through the Institute, Jerry participates in the collaborative process of drafting legislative proposals for the revision of Illinois' business entity laws. Prior to entering law school, Jerry spent several years running his own business in Minneapolis. After obtaining his law degree, he joined the Chicago law firm of McBride Baker & Coles, where he practiced for 20 years. He joined Aronberg Goldgehn in July 2010 from Holland & Knight, a national firm that acquired McBride Baker in 2003. Jerry has been recognized annually since 2015 as a Leading Lawyer in Closely & Privately Held Business Law by Illinois Leading Lawyers. Jerry was raised in a small town in Northern Minnesota. Since moving to Illinois in 1986, he has been a stubbornly loyal resident of Waukegan, but he has successfully brainwashed his two children to be fiercely loyal Minnesota sports fans. In his spare time Jerry ... tries to figure out how he can find more spare time. What is your favorite thing about working at Aronberg Goldgehn? 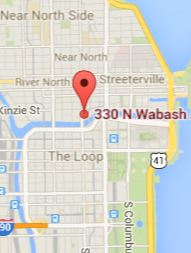 The fabulous River North Neighborhood – especially my parking space right across the street in Trump Tower! What would you be doing if you weren’t a lawyer? Operating movie theaters in my home state of Minnesota. That was my career before going to law school.